The "Long-awaited intellectual?" of S/mileage submembers! 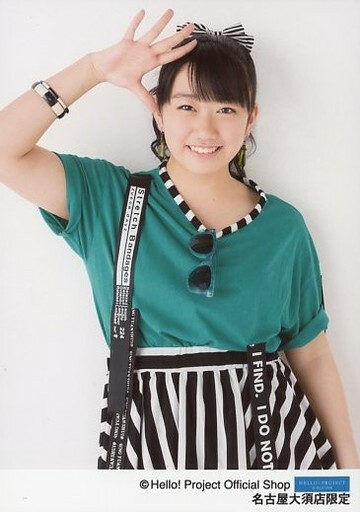 Looking like Linlin and DAWA, sounding like Hatsune Miku, this cutie looks like she might be the center of the submembers! And wow, she has a long name. I really like making the tea and eating Japanese sweets! I don't really get angry at anything. I do things like put on socks then put on sandals afterward. Math! It's the easiest for me to understand and solving problems makes me happy! I like them because they're soft, warm, and affectionate. I think that's the cutest color. At first I didn't know what was happening and my mind went blank, but now it's slowly sinking in. As I expected, I was really glad to be chosen, so I'll do my best to slowly improve my dancing and singing. I think her name is actually... Lindawa. Yep. Happy 14th birthday, please take care of your health, and we look forward to hearing more from you!!! Before we heard about her anemia, I really hoped she'd make it and we'd get to see more of her. I can't wait to see how she'll do as an Egg! with some great music. Arigatou!!! Hello!Online's Twitter - Kosuga Fuyuka has completed her activities as a H!P Trainee. Soooooooooooo...I'm guessing that this mean she's leaving/quitting being an H!P Trainee? and good health and happiness!